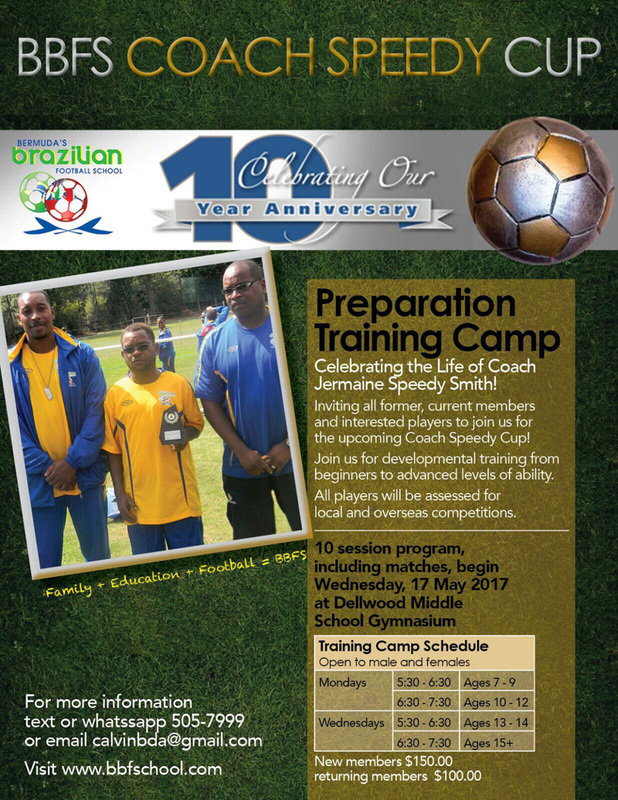 The Bermuda’s Brazilian Football School [BBFS] will be celebrating the life of Coach Jermaine ‘Speedy’ Smith with the ‘BBFS Coach Speedy Cup’ beginning on Wednesday, May 17th at Dellwood Middle School Gymnasium. A spokesperson said, “BBFS will celebrate the life of Coach Jermaine Speedy Smith. We are entering our 10th year and the last 10 months have been tough but we are ready to go again.